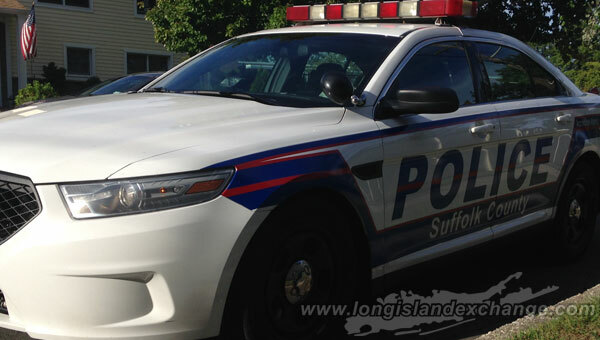 (Long Island, NY) Suffolk County Police Fourth Squad detectives are investigating an incident in which a woman was seriously injured in front of her Ronkonkoma home when a landscaping truck, backed into her. Jorge Chinchilla was operating a landscaping truck with an attached trailer, owned by Dank Inc., of Massapequa, when he struck Rose Dalli, in front of her home in Ronkonkoma at approximately 10:55 a.m.
Suffolk County Police are investigating an incident in which a woman was seriously injured in front of her Ronkonkoma home when a landscaping truck, backed into her. Photo Credit: Chris Boyle. Dalli was standing in the roadway, when she was struck by the trailer. Dalli, 71, was transported to Stony Brook University Hospital with non-life-threatening but serious injuries. Chinchilla, 43, of Freeport, stayed at the scene and was not injured.